Do you spend a lot of time outside? Are you looking for a great way to protect yourself from the sun and mosquitos while you’re outdoors? Do you want a place to relax and enjoy your time outside with little to no hassle? If any of this is true of you, then you need a pop up screenhouse! Below, you’ll find reviews for five of the best pop up screenhouses on the market today. Check them out and see which one is right for your needs. 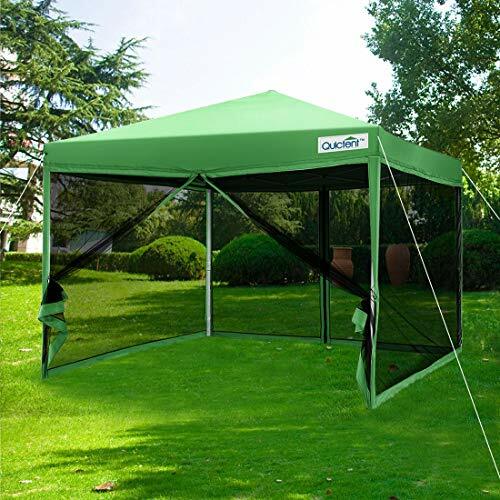 And if you’ve never heard of a screenhouse before, you’re sure to love the type of protection this great product can offer you from the sun as well as from mosquitos and other flying insects. Screenhouses are more or less like larger tents or canopy gazebos that feature mesh walls and provide plenty of room for a whole family to spread out and enjoy the great outdoors. Set up your screenhouse in the backyard or bring it along for your next camping or beach adventure. You’re sure to love it! The Timber Ridge Instance Screened Cabin Tent is a great solution for anyone looking for space for a few adults or several kids to have fun without being bothered by flying insects outdoors. This screenhouse has a spacious entryway and plenty of room to stand up inside, too. Set it up fast and enjoy your time outdoors! This is a very low-cost product, particularly considering its large size. There is a built-in sun-blocking wall with this screenhouse. Some customers have had trouble installing this screenhouse even with assistance. The screens on this product may tear more easily than on some of the others listed here. 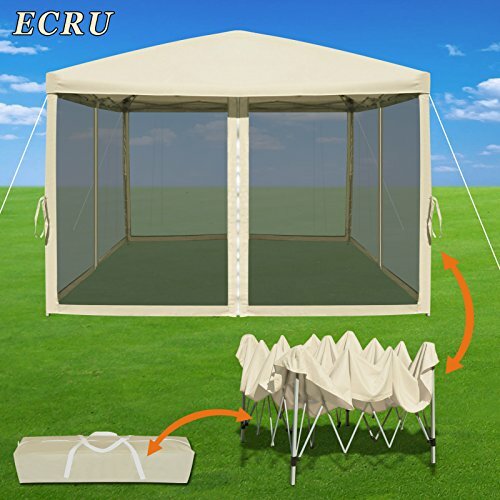 Choose the Quictent EZ Pop Up Canopy Gazebo Screen House for a fast and simple screenhouse you can use just about anywhere. With a spacious 10’ x 10’ interior, this screenhouse is big enough for several adults to share comfortably. This screenhouse comes in a few color choices to help you match your style perfectly. This screenhouse is large enough to put over a vehicle for comfortable outdoor sleeping in your car. This product may be harder to set up on your own than some of the others listed here. Some customers have reported receiving the wrong color or a damaged product, but this is rare. If you’re looking for one of the best-selling screenhouses on the market, look no further than the Coleman Back Home Instant Screenhouse. This high-quality product is portable enough for use on the go and it can be set up in just a couple of minutes. It has two spacious doors and plenty of room inside for bigger groups or families to have plenty of safe, fun experiences any time the mood strikes. This product is made of polyester fabric with a UPF rating of 50+. The screenhouse comes with a portable carrying bag on wheels to make it easier than ever to take this product along with you. This is a heavy product that may require more than one adult to put together properly. After a couple of years of constant use, the canopy roof may become brittle and too damaged to continue using. 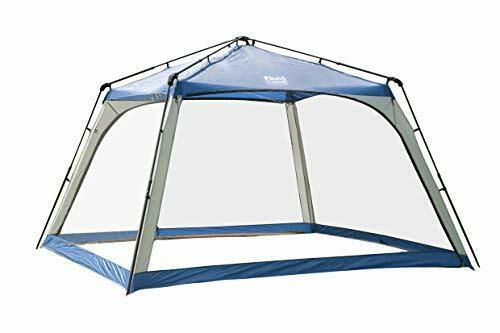 Set up the Strong Camel Easy Pop Up Canopy Tent in your backyard and enjoy a breezy, shady outdoor experience right away! This large screen house features a zipper closure to keep the door shut no matter how windy it might get outside. 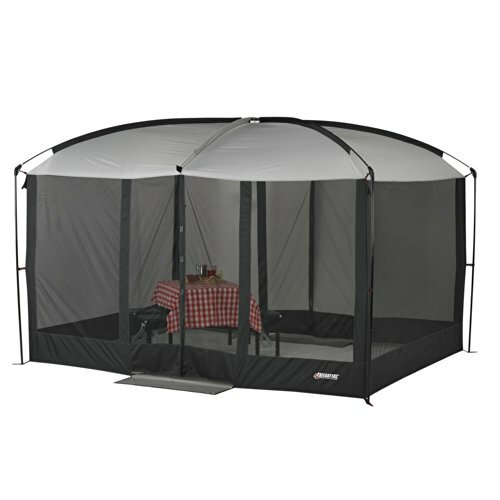 With a sturdy polyester roof, this screenhouse is sure to keep you safe from wind, water, and UV rays—plus mosquitos! This is a very easy-to-use product that can be set up in no time with or without help from another adult. It’s easy to replace any damaged pieces in this screenhouse. Rarely, the product may arrive with some damage to the screens from shipping or storage. This screenhouse is only available in one color and may not match all backyard setups. When you want tons of outdoor space in your screenhouse, you need the Tailgaterz Magnetic Screen House in your backyard. This screenhouse features magnetically closing screens that you can open and close with no trouble. It also has a durable fiberglass frame and it’s tall enough for a fully-grown adult to stand up inside without even coming close to reaching the top of the dome roof, too. 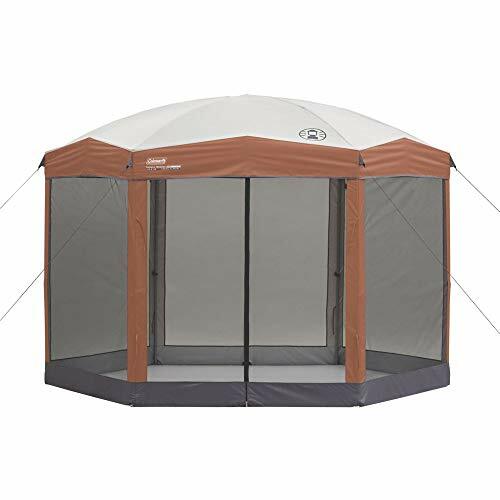 Despite being a large tent, this is a very affordable product that’s well under budget for many customers. The magnetic doors stay closed well even in the wind. The product must be securely staked down to the ground and will blow over if it isn’t. The poles may break if the product isn’t set up properly. Did you pick a great screenhouse for your needs? There are a lot of excellent options out there, so it’s important to think about your backyard or your other outdoor experiences and consider the one that’s going to suit your preferences best. You may need a smaller screenhouse for portability, for example, or you may want something larger that can stay in place for longer in your backyard. Always remove your screens when your screenhouse isn’t in use. You may be able to take them down completely, but you may just have to roll them up or pull them to the sides, depending on the style of screenhouse you have. Wash your screens at least a couple of times a season for best results. This will keep them from becoming mildewed or moldy, and it will improve their lifespan over time in this way. Finally, always patch or replace screens that develop small tears right away. This will prevent the tears from becoming bigger and getting out of hand. If the damage is small enough, you can patch it with a piece of a replacement screen or even just stitch it closed with twine, depending on the size and location of the rip. Keep these tips in mind and you’ll be well on your way to a better experience with your screenhouse in no time!